An original print is a work of art created by hand and printed by hand, either by the artist or by a professional assistant (often called an artisan), from a plate, block, stone, or stencil that has been hand created by the artist for the sole purpose of producing the desired image. The plates or stencils it is printed from bear no resemblance to the finished work of art, which means it is not a copy or a reproduction of anything. In fact, in all print media but two, the image on the matrix or printing plate (what the print is produced from) is mirror image or backwards from what the finished work will be. The image reverses in the printing process so the artist has to think and draw backwards. Each print produced is technically a unique work although produced as a signed and numbered multiple. The technical term for this is monoprint. The original print is usually produced as a limited number of impressions, another word for print. The term for this group of prints is the edition. Although there are many of the same image in an edition, each print is an individual part of the whole, the whole being the edition. An original print is actually one piece of a multiple original work of art. Original prints are traditionally signed in pencil by the artist. They are numbered to indicate how many prints there are in the edition and to identify the individual print. This number appears written as a fraction, for example: 34 / 75. This is called the edition number. The number to the right of the slash (in this example, 75) indicates the size of the edition: 75 prints have been produced. The number to the left is the actual number of the print. This number is read: "print number thirty four of seventy five". There are other types of identifying marks as well. The artist traditionally keeps a group of prints aside, separate from the edition marked as artist's proofs, normally about ten or less. These are marked A/P, sometimes with an edition number after (such as: A/P 2/5) to indicate how many artist proof's there are. During the course of developing the image an artist may pull a number of experimental images while modifying the plates to achieve the finished product. These are referred to as state proofs, trial proofs, or color proofs. When the image is finally perfected the printer's proof or bon-a'-tirer (signed B.A.T.) is pulled. This is the image that the rest of the edition is matched to and there is only one of these. The artisan printer traditionally gets to keep the printer's proof. Most professional print studios and many print artists have their own studio emboss stamp, or chop that identifies the origin of the print. The chop, in and of itself, does not guarantee authenticity or originality, but when combined with the numbering, dating and signing of a print edition the emboss is a critical part of a print's provenance and authentication. What Is A "Limited Edition Print"? Many people, including print collectors, are confused by the terms original print and limited edition print. The two are not synonymous. The term original print is a specific term while limited edition print is a general term. An original print is almost always a limited edition print because each edition is limited by the artist or the number of prints that can be safely "pulled" or printed from the matrix before the image begins to break down and show signs of physical wear from the printing process. At times the artist will severely limit the size of the edition to only a few (one to five) that will be printed. The limited edition print, however, may or may not be an original work of art - it might be just a photo-mechanical reproduction of a painting, drawing, etc. ; no more than a poster. The so-called "Limited Edition Print" may be printed in an arbitrary number of 500 or 1000, often more, and is often signed and numbered by the artist, but it is not actually created as an original and printed by the artist. Robert Bateman, Trisch Romance, and Thomas Kinkade are examples of artists whose work is reproduced and sold as "Limited Edition Prints", postcards, etc. The term "limited edition" is vague. When purchasing a work of art it's a good idea to know whether or not you're buying the real thing, if you truly want an original. There is a reason for reproductions and posters in the print collectors' market and a reproduction sells for hundreds or even thousands of dollars less than an original work by the same artist. Unlike original art, the resale and investment value of reproductions on the open market is much more limited. There are new technologies in printmaking that are blurring the differences between Original Prints and printed reproductions: mylar transfer in lithography and Giclee prints are two examples. Technically speaking, mylar prints are drawn by hand by the artist, which in one sense classifies them as original prints, but then they are photographically copied onto a plate or screen that can be mass produced on mechanical presses. Print artists are producing hand-drawn offset lithographs in small limited editions and other artists are experimenting with hand-manipulated and modified color copies as original prints. Giclee (pronounced: zhee-klay) are high end ink jet prints that use a digital source image file on a computer or CD. Technically, they are copies, although this process is also used to produce beautiful one-of-a-kind images on paper or limited editions of Digital Photographs or the new Digital Art on archival quality papers. Professional print artists contend that an original print must be produced by hand by the artist who combines a considerable degree of skill, artistic ability, and technical knowledge to produce the print; the choices of the type of press, processes, and/or medium used are the artists' tools. The manipulation of the matrix or printing plate by the artist is a key factor in deciding whether a print is an original work of art, or not. Giclée ( /ʒiːˈkleɪ/ zhee-KLAY or /dʒiːˈkleɪ/), is a neologism coined in 1991 by printmaker Jack Duganne for fine art digital prints made on ink-jet printers. The name originally applied to fine art prints created on IRIS printers in a process invented in the late 1980s but has since come to mean any high quality ink-jet print and is often used by artists, galleries, and print shops to denote such prints. 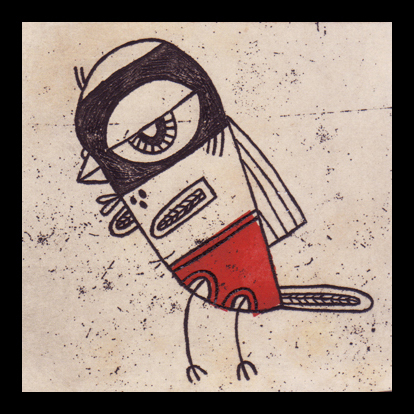 The word "giclée" was created by Jack Duganne, a print maker working at Nash Editions. He wanted a name for the new type of prints they were producing on the IRIS printer, a large format high resolution industrial prepress proofing ink-jet printer they had adapted for fine art printing. He was specifically looking for a word that would not have the negative connotations of "ink-jet" or "computer generated". To make the word descriptive of ink-jet technologies he based it on the French language word "le gicleur" meaning "nozzle", or more specifically "gicler" meaning "to squirt, spurt, or spray". Beside its association with IRIS prints, in the past few years,[when?] the word “giclée,” as a fine art term, has come to be associated with prints using fade-resistant, archival inks (pigment based, as well as newer solvent based inks), and archival substrates primarily produced on Epson and some other types of large format printers. These printers use the CMYK color process but may have multiple cartridges for variations of each color based on the CcMmYK color model (e.g. light magenta and light cyan inks in addition to regular magenta and cyan); this increases the apparent resolution and color gamut and allows smoother gradient transitions. A wide variety of substrates are available including various textures and finishes such as matte photo paper, watercolor paper, cotton canvas, or artist textured vinyl. Artists generally use inkjet printing to make reproductions of their original two-dimensional artwork, photographs or computer-generated art. Professionally-produced inkjet prints are much more expensive on a per-print basis than the four-color offset lithography process traditionally used for such reproductions (a large-format inkjet print can cost more than $50, not including scanning and color correction, versus $5 for a four-color offset litho print of the same image in a run of 1000). Four-color offset lithographic presses have the disadvantage of the full job having to be set up and produced all at once in a mass edition. With inkjet printing the artist does not have to pay for the expensive printing plate setup or the marketing and storage needed for large four-color offset print runs. This allows the artist to follow a just-in-time business model in which inkjet printing can be an economical option, since he or she can print and sell each print individually in accordance with demand. Inkjet printing has the added advantage of allowing artists to take total control of the production of their images, including the final color correction and the substrates being used, and it is even feasible for individual artists to own and operate their own printers. Art form consisting of the production of images, usually on paper but occasionally on fabric, parchment, plastic, or other support, by various techniques of multiplication, under the direct supervision of or by the hand of the artist. Such fine prints are considered original works of art, even though they can exist in multiple copies. The major techniques are relief printing, where the background is cut away, leaving a raised image; intaglio printing, where the image is incised directly into the plate; surface printing such as lithography, where the image is painted or drawn onto a stone; and stencil printing, where the design is cut out and printed by spraying paint or ink through the stencil. The history of printmaking parallels the history of art and is one of the oldest art forms. Though he had several predecessors, the first important engraver was a 15th-century German, Martin Schongauer. In the 16th century Albrecht Dürer created prints of the highest quality, and in the 17th century the etchings of Rembrandt were especially fine. Japanese printmaking originated in the 17th century with the ukiyo-e school of woodcuts; the best-known artists were Hokusai and Hiroshige. Important 18th-century Western artists who made prints include William Hogarth, Francisco Goya, and Giambattista Piranesi. Among the works of 19th-century printmakers, those of Honoré Daumier and of many of the French Impressionists are notable. Experimentation in new styles and new directions proliferated in the 20th century, with artists from the century's major movements—including Expressionism, Surrealism, Pop art, Minimalism, and Neo-Expressionism—all pursuing printmaking. See also engraving; etching; mezzotint; woodcut.